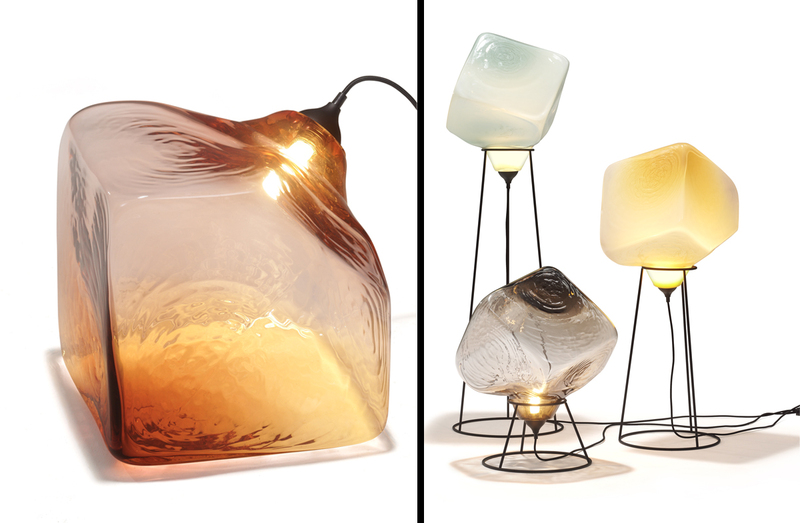 Lamp collection with hand blown glass shade in amber, aquamarine, ruby or smoked brown finish. Base in mat anthracite finished steel. Lamp available with just glass shade or with three available metal frame heights. Amber, aquamarine, ruby, smoked brown glass.